100 Thieves is now 7-3 in the league. Two of the best teams in the CWL Pro League collided today, with Division A’s top team, Gen.G, taking on 100 Thieves, who had arguably been the hottest team in the last month before a loss to Midnight Esports yesterday. With Gen.G holding the best record in the entire 16-team league, and 100 Thieves playing better than nearly every other team in the world lately, the matchup was always destined to be something special to watch. Despite a good fight from Gen.G, 100 Thieves took the first Hardpoint of the series by 58 points. Gen.G swiftly responded with a narrow win on Payload Search and Destroy to tie the series at one game each. In game three, Gridlock Control, it was all 100 Thieves, who took the map in three straight rounds to close up a fairly one-sided game. 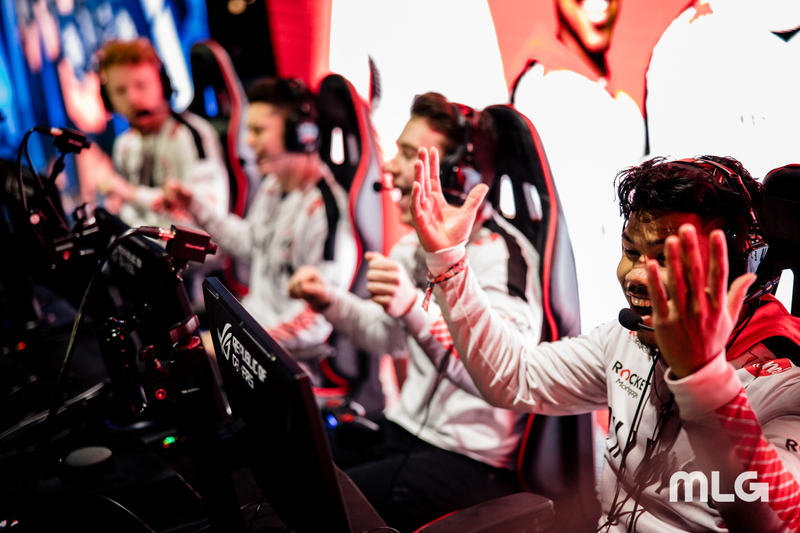 Gen.G attempted to respond just as they had done earlier in the series, but 100 Thieves were able to barely hold off Gen.G on Hacienda Hardpoint, winning the map by just 10 points. This win is a much-needed return to form for 100 Thieves after their shockingly poor outing against Midnight yesterday. And for Gen.G, while the loss is understandably disappointing, they still remain in first place in Division A. Three other matches occurred today as well, and in the first one, Midnight picked up another win by defeating Enigma6 in four games. Team Reciprocity also won a second consecutive match by beating Denial. In the last match of the day, OpTic Gaming shut down Splyce to win their seventh match of the season. Here are the standings in Division A and Division B of the CWL Pro League (each team’s series record is followed by their map count in parentheses). 100 Thieves will have another tough matchup to close out their week; they play OpTic Gaming in the final match of the day tomorrow. Gen.G will start the day’s matches at 2pm CT, when they take on Enigma6.